Check Out "Expresso"..! Another grid based Masonry Free Blogger Template,Featuring awesome "Author Info Widget". A First ever widget to display author information in a way that has never seen before. 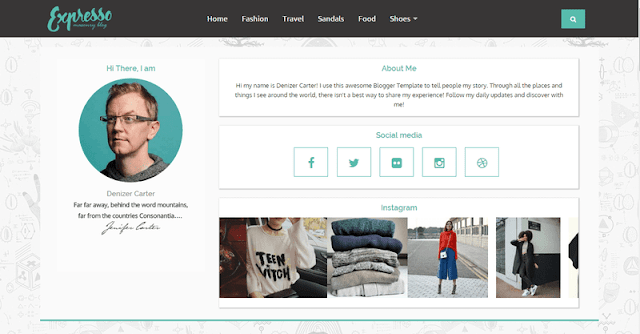 Simple and Beautiful blogger template that will keep your visitors intrigued on your site, This free blogger template can be used to share stories, create Fashion blog,creative blogs, personal blogs, Lifestyle and many more types of blogs and magazines. Expresso is a light weight masonry design that takes a few seconds to load. 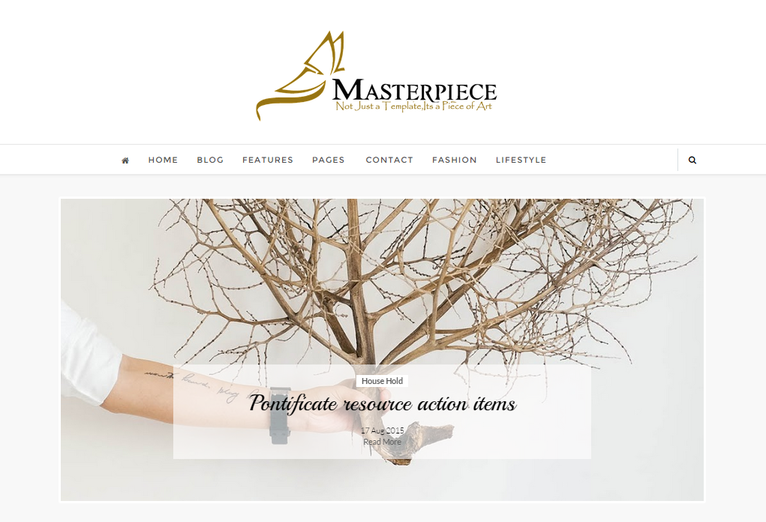 The layout of this templates is fully responsive, that mean your blog will get rendered beautifully on all devices.It is an easy-to-use blogger template, Expresso Free Blogger Template comes with very well documented tutorial that will help you to set up your blog just like the demo. All Our Blogger Templates Comes In Two Versions(Premium and Free): Free Blogger Templates Are The Trial Versions Come With Encrypted Code and Some Restrictions, But Free Versions Are the Best Way to Check how Your Blog Will Look After Installation Of the Template.Premium Versions Are The Paid Version Which are Fully customizable with No Encrypted Code and lifetime customer support services. Alterations In "Author Info Widget"
Hello! I'm very interested on buying this template but I see its layout is not correct in phone displays, can anyone tell me it can be fixed before y pay? Thank you very much for the information you provided. Sorry but i can't use this. If i look to posts with the same label, than all is corrupted.